The International Association of Amusement Parks and Attractions (IAAPA) has announced Merlin Entertainments CEO Nick Varney will deliver the keynote address during the GM and Owners’ Breakfast at IAAPA Attractions Expo 2017. The Expo is the largest international conference and trade show for the $39 billion global attractions industry. It takes place Nov. 13-17 at the Orange County Convention Center in Orlando, Florida. The GM and Owners’ Breakfast is the premier networking event for senior-level attractions industry executives from around the world, including owners, CEOs, presidents, vice presidents, and directors. It takes place Wednesday, Nov. 15 at 8:15 a.m. in the IAAPA Theater at the convention center. 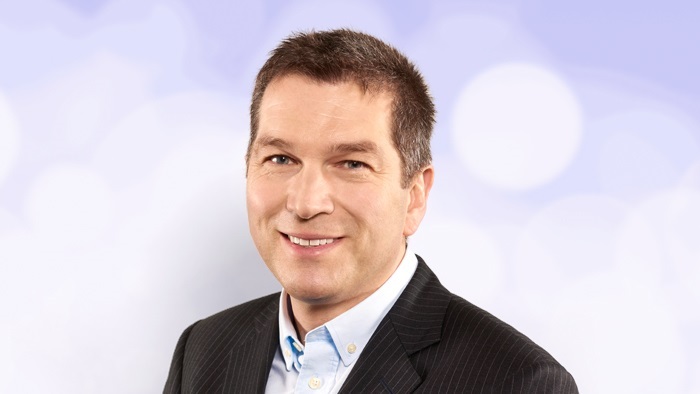 Varney has more than 25 years of experience in the attractions industry and has led United Kingdom-based Merlin Entertainments since the company was formed in 1999. Varney started his career marketing fast-moving consumer goods, and went on to hold senior positions within the Tussauds Group, including marketing director of Alton Towers and head of group marketing, before he became managing director of Vardon Attractions. In 1999, Varney led the management buyout of Vardon Attractions to form Merlin Entertainments and after a period of investment under the ownership of Blackstone, he initiated the process which led to the flotation of Merlin on the London Stock Exchange, where it has now grown to become a FTSE100 constituent. Merlin Entertainments is a global leader in location-based family entertainment, operating more than 100 attractions in 24 countries across four continents, including amusement parks, water parks, family entertainment centers, zoos, aquariums, observation wheels and towers, hotels, and holiday villages. The company entertains more than 60 million guests annually worldwide and employs approximately 27,000 people. IAAPA Attractions Expo is the global marketplace of innovation for the attractions industry, and it is where industry professionals from around the world come to find inspiring ideas to develop fresh, bold, and unique experiences for their guests. Whether on the 560,000-square-foot trade show floor or in one of the more than 100 educational opportunities, there are thousands of business-changing ideas and innovations awaiting Expo participants. IAAPA Attractions Expo 2017 is expected to draw more than 32,000 attractions industry professionals from more than 100 countries, including 21,000 decision makers and influential buyers from world-renowned facilities as well as expert designers and engineers from the industry’s leading manufacturer and supplier companies. In addition to Varney’s keynote address, the IAAPA Young Professional Award and IAAPA Service Awards are presented during the GM and Owners’ Breakfast. An IAAPA Attractions Expo 2017 registration badge and a breakfast ticket are required to attend the GM and Owners’ Breakfast. Additional details about the GM and Owners’ Breakfast and IAAPA Attractions Expo 2017 registration information is available at www.IAAPA.org/IAAPAAttractionsExpo.